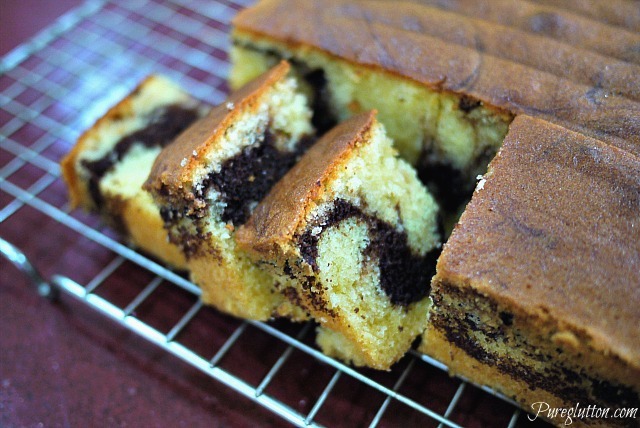 Home-baked Marble Cake: it’s all about swirling! 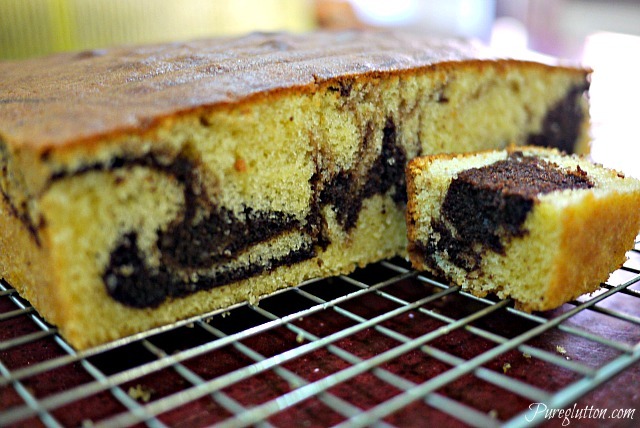 I’ve been baking this Marble Cake several times the past couple of weeks to experiment with the swirling. Using a basic Butter Cake recipe (which is so easily Googleable), I take out one-third of the batter and mix it with a paste made from chocolate and instant coffee powders. It’s important to add in that half-teaspoon of instant coffee powder as it really enhances the flavour, and darkens the colour too. 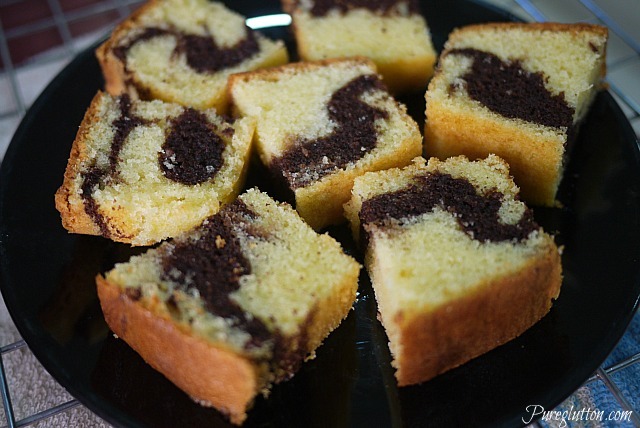 In the first attempt, I used a skewer to swirl the batter. It wasn’t effective at all. There was hardly any swirl when I sliced the cake. There was just this dark chocolatey layer in the middle. My cake was skewed. Then I tried using a fork. That’s much better. 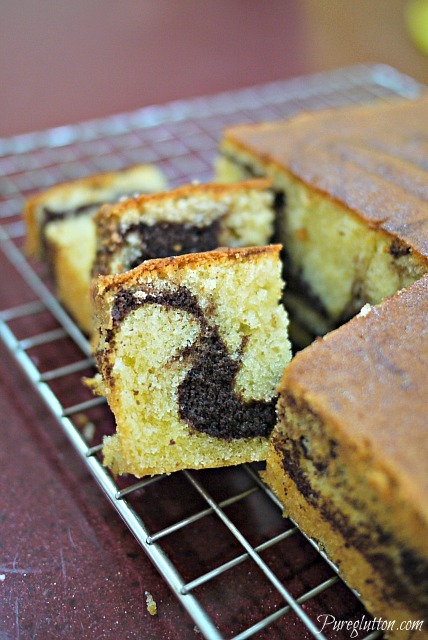 Finally I had a marble cake with some pretty swirls in it! The trick is to turn the fork in circular motions to create the swirls. Try to do it all in one direction, either clockwise or anti-clockwise. Don’t swirl anyhow in any direction because you will end up with very messy swirls! And, be consistent. The sides of my cake weren’t swirled well enough, as you can see.